A 23-year-old man has been jailed for life after being found guilty of murdering Hull woman Rachel Moran in a frenzied knife attack after a New Year's Eve party. Michael Little stabbed 21-year-old Miss Moran more than 20 times before hiding her body in a cupboard for almost a month, Hull Crown Court heard. Miss Moran went missing on New Year's Day as she walked the half-mile from her parents' home to her flat in Saxcourt, Hull. 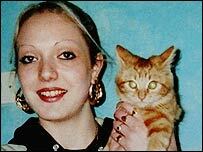 Her body was found 28 days later, wrapped in a curtain and hidden inside a cupboard at Little's flat in Nashcourt. Jailing Little for life, Mr Justice Hooper told him he had committed a brutal murder, and said: "You have heard evidence of the totally destructive impact of the killing of Rachel upon her family. "Having killed her, you then hid her body, knowing full well the additional suffering this would cause her family." Prosecutor Geoffrey Marson QC said Little confessed to police when the body was found and later admitted the killing to a fellow inmate after his arrest. In a savage attack he stabbed her from behind at least 20 times in the head, back, chest and neck. He told police at the scene: "I can't be normal - I must be evil. A normal person would not do that." 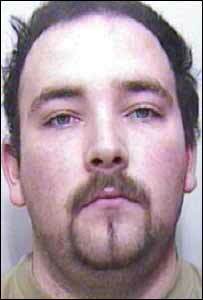 But during the trial, Little tried to point the finger of blame for the killing at his best friend Marc Fuller. He told the court he had been drinking at a New Year's Eve party and had taken drugs including ecstasy and LSD before returning home to find Mr Fuller in his living room with Miss Moran. After talking to Miss Moran and then kissing her, Little said: "One thing led to another and we ended up sleeping together in my bed. "Fuller came into the room. He went mental. He said: 'She is mine'." He claimed Mr Fuller then frenziedly stabbed Miss Moran. But the jury did not believe Little's defence and found him guilty of murder. Speaking on the steps of the court following sentencing, Miss Moran's older sister Kerry Harpham, 39, said the family felt only emptiness. She said: " Only God and Rachel can forgive the murder and murderer. "Only God and Rachel can forgive the family who shaped him into the thing that destroyed our beautiful girl. "Only God and Rachel can forgive those who comfort and shelter him and those who have chosen to defend him and his crimes."